The results of the Civil Engineering Licensure Examination held in Manila, Baguio, Cagayan de Oro, Cebu, Davao, Iloilo & Legazpi on November 24 and 25, 2012 can now found here, Professional Regulation Commission (PRC) officially published the complete list of passers with a total of 2,380 passers out of 5,747 examinees. November 2012 Civil Engineering Licensure Examination is also known as November 2012 Civil Engineer Board Exam Results. PRC conducts this Civil Engineering board exam through its Board of Civil Engineering two times a year. Usually, PRC released the results in (3) working days after the last day of examinations. 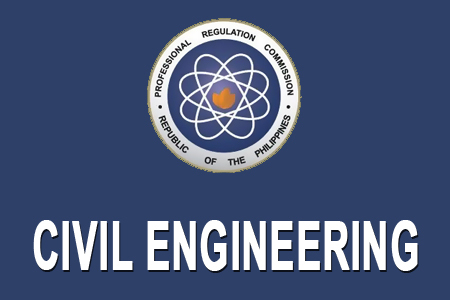 Last May 2012, PRC announced the 1,195 passers out of 3,117 examinees of the Civil Engineer Licensure Examination. The roll of successful examinees of the Civil Engineering Board Exam for November 2012 is now posted here on the same day of the results availability. You may also view here the Top 10 Civil Engineer Board Exam Passers. For the meantime, please share this page to your friends on Facebook, Twitter and Google+, so they can also be updated about the Dentists (Written) Board Exam Results November 2012. Comments or suggestions about "November 2012 Civil Engineer Board Exam Results" is important to us, you may share it by using the comment box below.